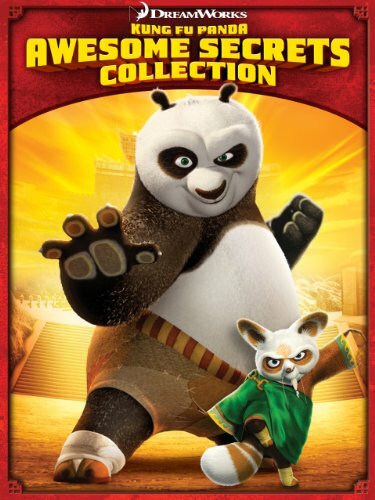 Po and the Furious Five uncover the legend of three of kung fu's greatest heroes: Master Thundering Rhino, Master Storming Ox, and Master Croc. 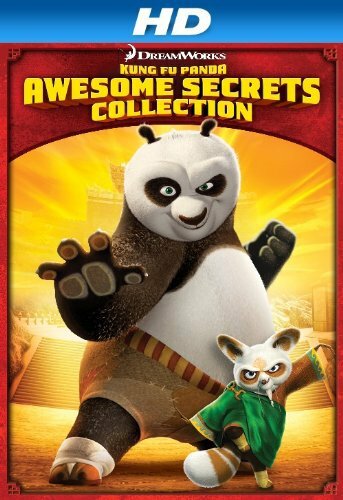 Po and the Furious Five uncover the legend of three of kung fu's greatest heroes: Master Thundering Rhino, Master Storming Ox, and Master Croc. Po breaks into the Hall of Heroes with Tigress and Mantis to see the new exhibits, especially for the ones featuring Masters Thundering Rhino, Storming Ox and Croc. Once there, Po tells the story of how that trio began as small time street fighters until the villainous Wu Sisters escape with plans to conquer China. Against this threat, Master Oogway convinces the selfish trio to accompany him on a quest to stop the sisters. In the challenges that follow, those masters find that the grandiose promises of riches they heard are fading as they learn that there are things far more worthy to fight for. The first thing I feel I must mention is the animation. It was GORGEOUS! Every screen-shot was like a masterpiece and the lighting was astounding. The story also had surprising depth to it, and a great moral. It was also extremely funny. I enjoyed Oogway's role in the story as mentor very, very much. That said, there were a few parts that felt slightly childish--but it *is* meant for children. The whole family can watch it, in fact. While the kids enjoy the general hilarity, the older ones and the adults can sit there and marvel at the story's depth and the beautiful animation. It wasn't *fantastic* but it was surprisingly very good and well done. However, if you're looking for something even better, I'd have to recommend the "Kung Fu Panda Holiday Special." *That* one I give 10/10 stars. Seriously. It could have been in theaters. These 20 minutes came out shortly after "Kung Fu Panda 2" and if the third movie will only come close to the level of this one here, it's gonna be a huge success. It's not a problem at all that Panda only appears at the beginning and end here while he tells us the story of how Crocodile, Ox and Rhino found their strength. I am not talking about physical strength here, of course, but that's pretty much a given with the "Kung Fu Panda" franchise. They are already good fighter at the beginning, but they lack compassion and character strength in order to become truly great. The way they were perceiving money was an excellent metaphor of the way they were growing more mature. I also liked the idea that one of the three went on the journey to make his father proud. The kind of set them apart, apart from the fact that they are completely different animals of course. The Wu sisters were also pretty good antagonists in my opinion and expressed lots of power in the few scenes they had. In the end, our trio of heroes has to work together in order to beat the strong union of the sisters and thanks to what they learned on their long and hard journey, the succeed of course. A great writing effort here from the duo Berger and McEvoy. I truly enjoyed watching this and it really makes me want to see the third KFP now. Guess I'll have to wait a bit for that still unfortunately. Secrets of the Masters, I highly recommend.